I wrote an earlier post that the South Caucasus countries of Armenia, Azerbaijan and Georgia are cluttered with LAOs. These date back twenty years to when the Soviet Union collapsed and the money ran out. There are all types, buildings, machinery, trains, etc., but my favourite are infrastructure. As I was travelling from Yerevan to Tbilisi I saw out in the middle of a field eight partially completed concrete columns. There was nothing else: just eight columns about 15 m tall, with reinforcing steel. I thought that one day there will be some archaeologist who will wonder why this structure was placed in the middle of nowhere. At least the function of the incomplete viaduct in Spitak Armenia’s function is clear: it was to be very nice bypass over the river valley. However now it is an object lesson to what happens when you abandon an incomplete structure. When I visited Armenia in January 2009 it was bitterly cold, with temperatures as low as –23 C. I was quite surprised when we had +14 in early February 2010, although the farmers and others are worried since the winter snows are important for supplying water. However, the morning that I was to drive back to Tbilisi winter returned, with a heavy, wet snowfall. These are by far the most beautiful since *everything* is covered in snow. The trip to Tbilisi was a bit slower than usual since I had my driver Haik stop so I could grab some photos – unfortunately it was with my camera phone rather than a real camera. Enjoy the drive … I sure did. I started this post in January and as it is now February 1 time to post it. 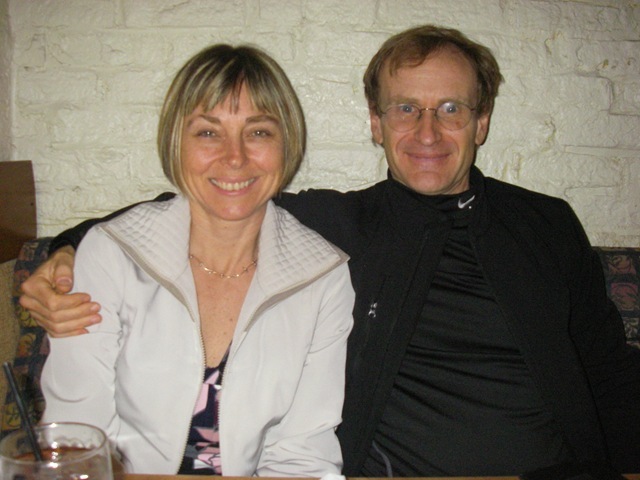 2009 was not a particularly bad year, but it was very challenging in too many ways: I turned 50; I accepted a position in Australia which will allow my wife Lis to open a Bed & Breakfast in New Zealand; I had a bad bike crash; and too much travel. Unfortunately, 2010 will offer its own set of challenges, but I really can’t complain. As that Joe Walsh song goes: “Life’s been good to me so far”. I have a wonderful wife, my parents are healthy and independent at 86 and 88; I have 11 bicycles, a great cat, a job I love which is also meaningful, and above all my health. So not a lot to fret over. You are currently browsing the World Bank Traveller blog archives for February, 2010.